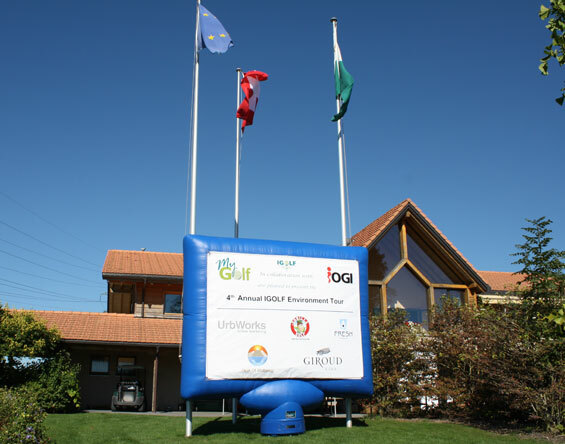 The 4th Annual IGOLF Environment Tour 2012 Edition was enjoyed by friends of IGOLF and the Lavaux Golf Club. Once again, we had great weather for our participants and clinic attendees. For the second year IGOLF focused its special event on the social aspects of the foundation by dedicating the event to the golf activities of the Just for Smiles Foundation which also outdoor activities for severely handicapped children, adolescents and adults. MyGolf SA, the organizer of the IGOLF event thanks our loyal partners, IOGI SA and Giroud Vins, without whose support the event would be impossible. We welcome new sponsors this year: Peak of Well being whose founders Duncan Reeve and Jennie Delbridge help people to attain better fitness and create a more wholesome lifestyle, Holmes Place a major fitness center in Lausanne and the Let’sGolf Indoor Golf Center whose Director Lavaina Floris provides us with excellent support for the Best Predicted Drive activity. 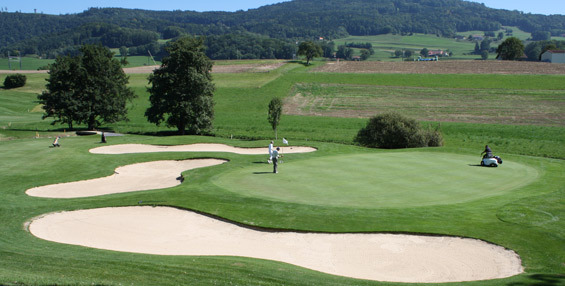 Special thanks to Philippe Salomon of the Lavaux Golf Club and his helpful and friendly team who help and professionalism are is immeasurable. Take a look at the day’s events! First Edition WIZO Cup 2012; Mission Accomplished! 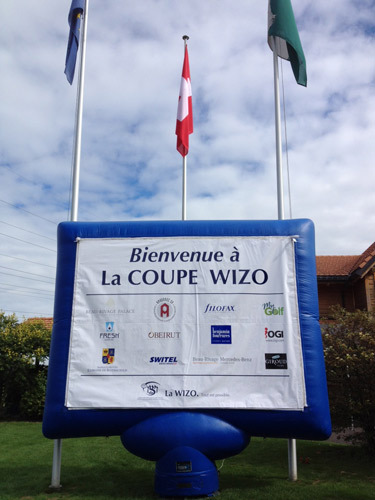 On September 13th, 2012 the first Golf Competition in favour of WIZO was organized at the beautiful Golf Club de Lavaux. After a few rainy days, the sun finally came out and the competitors could enjoy a golf course in perfect condition. Over 70 players and clinic attendees participated in this first edition and many more friends joined in for dinner. Gross and net prizes were generously donated by the Hotel Beau Rivage and MGB/Filofax in Lausanne as well as nearest to the pin and best predicted drive (organized by Let’s Golf) were distributed before dinner. 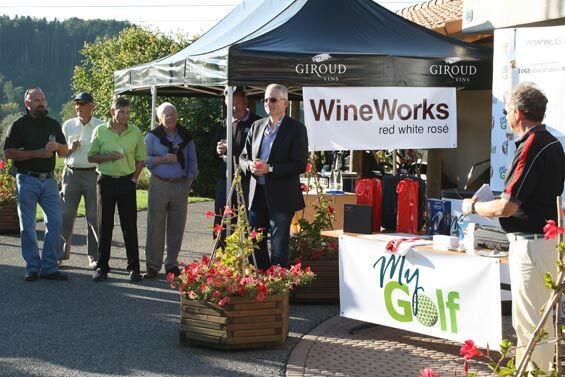 Giroud Vins offered a well deserved drink to all the participants and Fresh Waters offered the water which was very appreciated on the golf course. 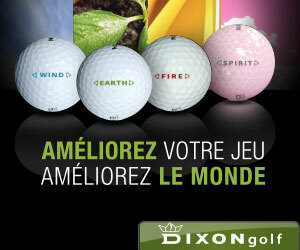 For those who wanted to discover the game of golf, a great introduction and initiation was organized by My Golf. So it was a great day for golf and for WIZO, first edition: mission accomplished! Thanks to the generosity of the players and the sponsors, WIZO will be able to open 2 classes for the WIZKIDS Computer Program for the coming school year. A special thanks to the lavaux Golf Club and all who helped making this event a success. See you in 2013! So it is over and Team Europe have claimed back the Ryder Cup in the most dramatic fashion possible and without doubt following the greatest comeback in the history of golf, perhaps in the history of Sport itself. Let’s take a look at the key moments from three days of thrilling action and look at how the 2012 Ryder Cup was one as part of a comprehensive Gorilla Golf review of all the results from the tournament. American Captain Davis Love III has already promised an atmosphere like no other and the European team fully expect to experience the fervent support of the home crowd, but will the 13th man make or break the Ryder Cup for one team? In the preamble to the tournament, both sets of players have been at pains to stress their delight with the potential crowd at Medinah, and they have stressed that they hope that the support will be loud and long, yet respectful for both teams. 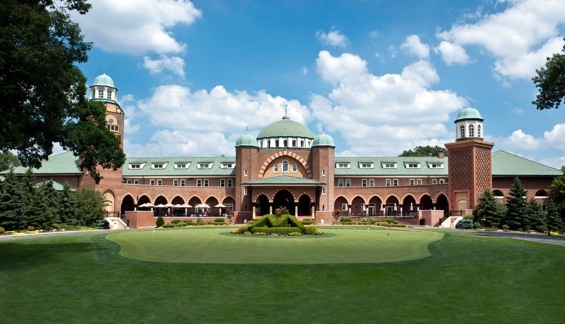 There are no doubts that the crowd at Medinah Country Club this weekend will provide the first two, the question is, will they also remain respectful? Over the years, the Ryder Cup has produced many incredible moments, from sheer incredulity at the golfing brilliance of an individual, to raging controversy that threatened, at one time, to engulf the competition in a bitterness that would have run counter to the traditions of the game of golf itself. In this article, we look at ten such moments, the controversial, the brilliant, the brave and the unexpected that have combined to make the Ryder Cup such a unique event in world golf. 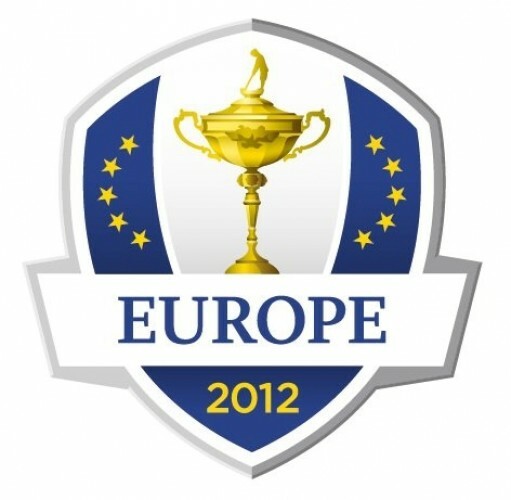 In this second article of a special feature we are going to examine those golfers set to represent Team Europe in the 2012 Ryder Cup to be held at the beautiful Medinah Golf Club, Illinois, starting on 28th September 2012. Featured below are the dozen golfers who will carry the hopes of Europe and team captain Jose-Maria Olazabal in the eagerly awaited clash with the United States. 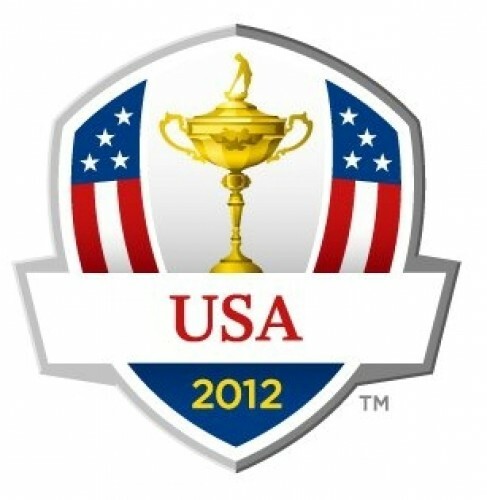 In this first article we are going to take an indepth look at those who are going to participate as members of Team USA in the 2012 Ryder Cup in Medinah, Illinois, starting on 28th September 2012. Outlined below are the 12 golfers who will form captain Davis Love III’s team for the clash with Europe.